Hey Handsomites! Eric and Robbie are back to talk about Ms. Marvel! They discuss G. Willow Wilson’s epic run, talk about the charm of the character, and examine the effect of the character on the industry as a whole. They also review Martian Manhunter #1 and Die #1! This entry was posted in Episodes on December 18, 2018 by Robbie Dorman. Hey Handsomites! Eric and Robbie are talking about the recently completed Mister Miracle this week! They talk about the layers of storytelling, Gerad’s art, and ponder what is next for the duo. They also review Uncanny X-Men #1 and Green Lantern #1! This entry was posted in Episodes on November 19, 2018 by Robbie Dorman. Hey Handsomites! Eric and Robbie are talking about Monstress this week! They touch on it winning multiple Eisners, highlight the amazing art, and rant about the rest of the book. They also review Batman: Damned #1 and Cemetery Beach #1! This entry was posted in Episodes on September 25, 2018 by Robbie Dorman. Hey Handsomites! Eric and Robbie are talking about the Death of Superman this week…and his return! 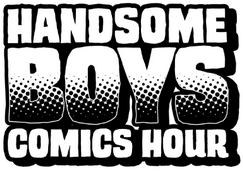 We discuss the goods and bads of the book (and our memories of it), the idea of Superboy becoming cool again, and how none of it makes any sense whatsoever. We also review The Dreaming #1 and Secret Agent Deadpool #1! This entry was posted in Episodes on September 11, 2018 by Robbie Dorman. Hey Handsomites! Eric and Robbie are talking about Transformers this week! They talk about the unyielding impenetrability of the lore, the surprising character moments, and the difficulty in telling characters apart. They also review Extermination #1 and Crowded #1! This entry was posted in Episodes on August 27, 2018 by Robbie Dorman. Hey Handsomites! 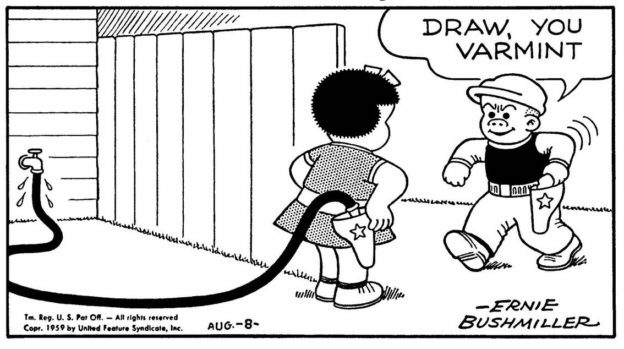 Eric and Robbie are talking about the Eisner award-winning How to Read Nancy this week! They talk about its analysis, Nancy itself, and the value of minutiae. They also review Fantastic Four #1 and Sandman Universe #1! This entry was posted in Episodes on August 14, 2018 by Robbie Dorman.